See my SW1500 Walk-around Album at Flickr. 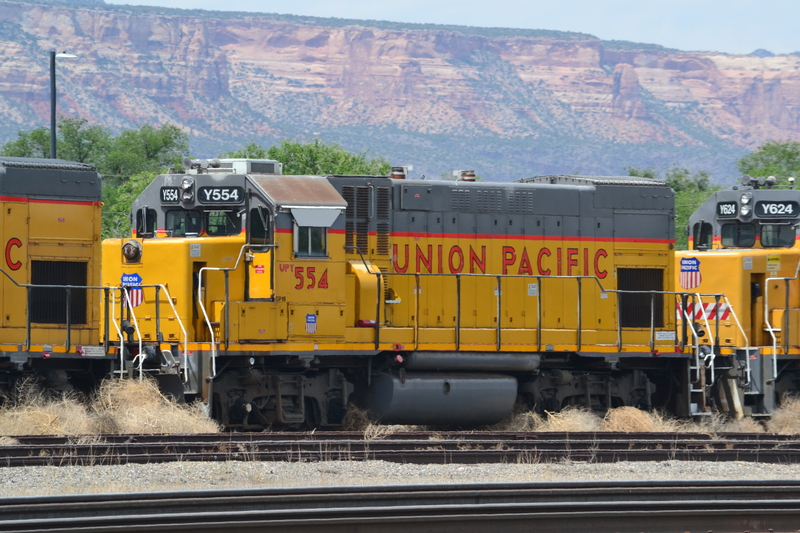 I got the opportunity to thoroughly photograph a pair of ex-UP SW1500’s at the Navajo Mine Railway in New Mexico. 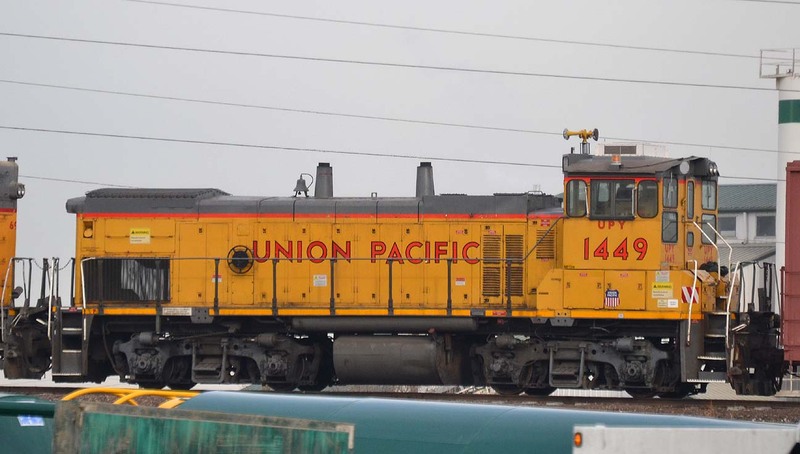 UPY 570 is a GP15-1, originally Missouri Pacific No. 1570 (actually lettered for Chicago & Eastern Illinois when delivered). Here it’s in Denver on 9/1/2008. 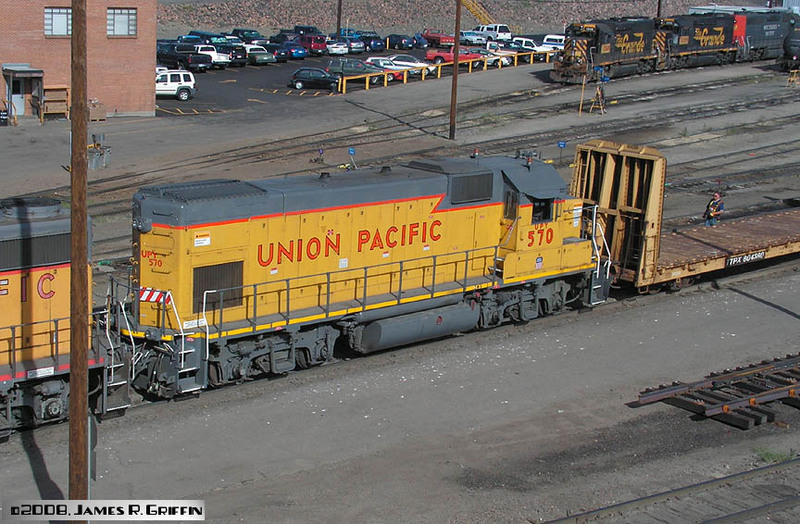 A pair of GP15-1’s of Missouri Pacific heritage are switching in Denver North Yard on July 29, 2007. No. 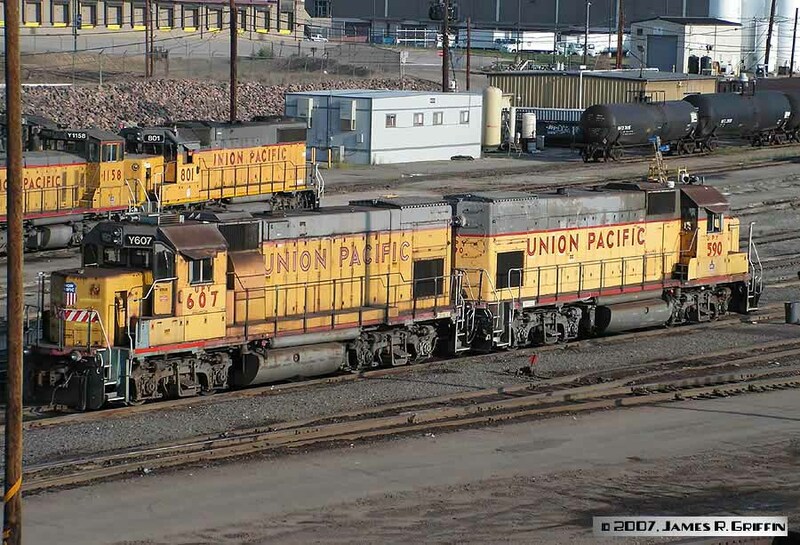 590 was MP 1590, went through repainting and renumbering and ended up as a UPY unit in May 2003. UPY 607 was MP 1607 and has been in the current number since July 2001. See here for more details. 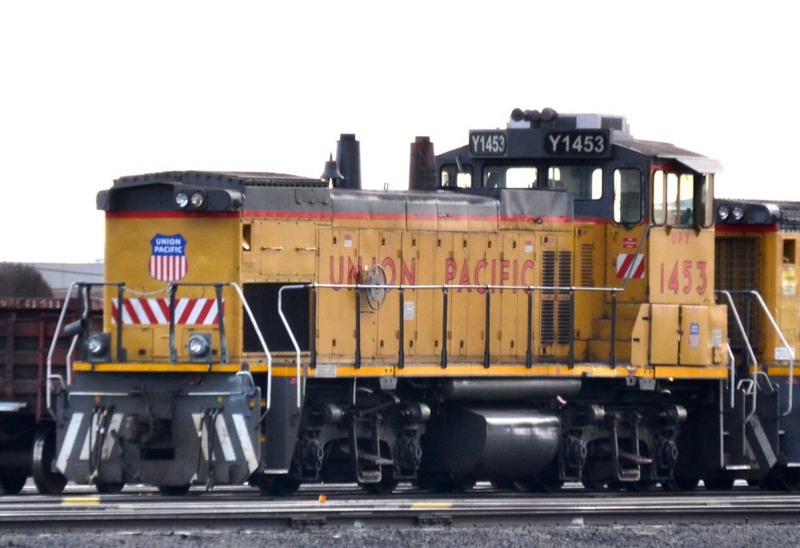 UPY 681 is a GP15-1, originally MP 1681. Built February 1982 and renumbered to this UPY number in May 2003. Photographed in Denver on 12/16/2014. 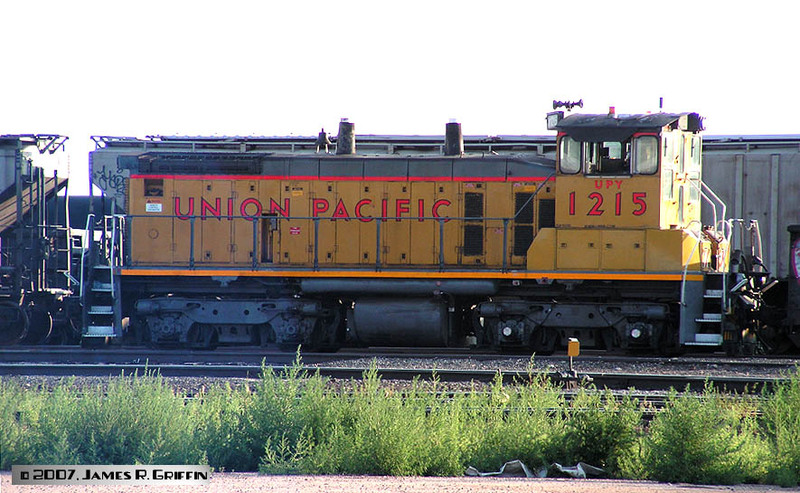 UP 1205 is a GP39-2 from the MKT. 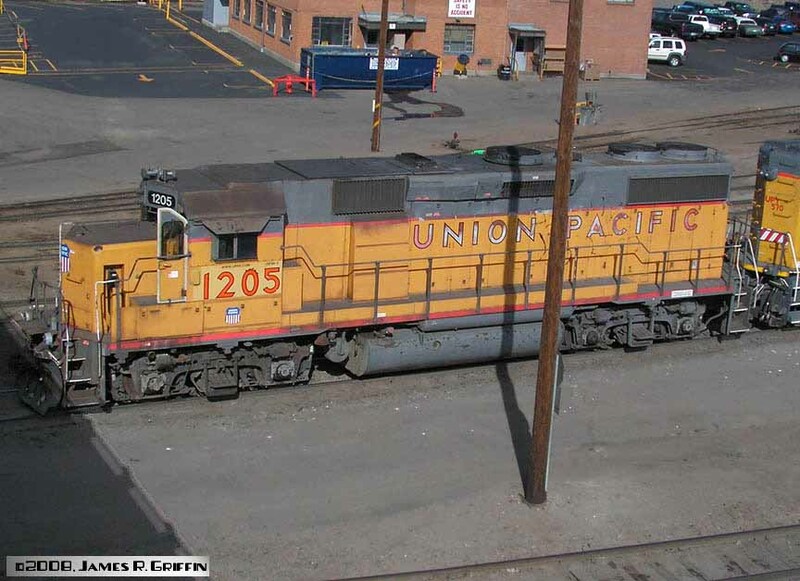 Here it’s switching in Denver’s North Yard on 91/2008. Her paint is getting a bit tattered. UPY 1215 is an SW1500, originally SP 2629, built in 1972. Here it’s in Denver near the Cargill elevator on 7/29/2007. An SW-1500 and a GP40-2 (No. 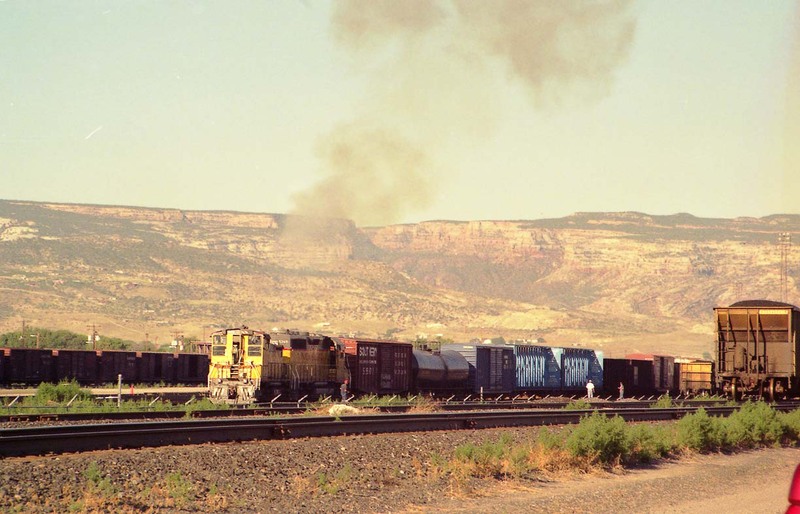 5260) are switching in Grand Junction in August 1998. Not sure about the SW’s number, but the 5260 is the former D&RGW No. 3106. 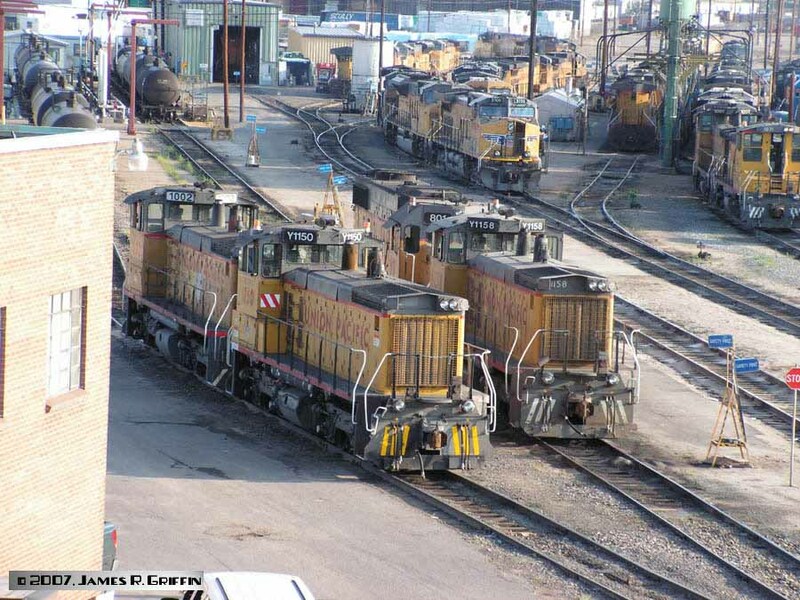 Two pairs of remote-control yard locomotives, seen at North Yard on 7/29/2007. 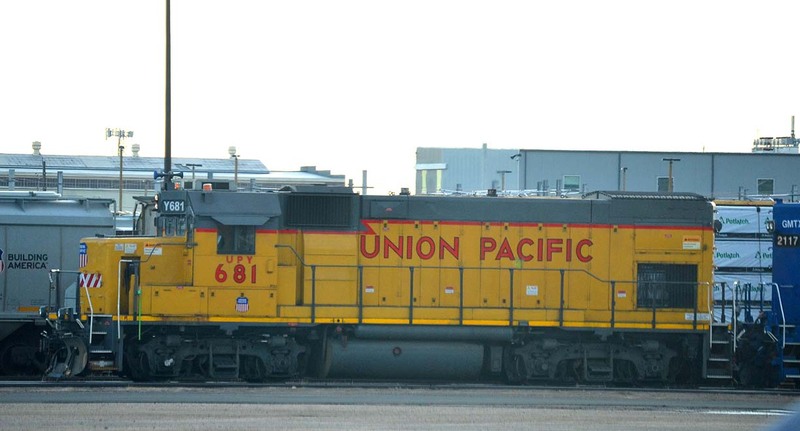 The two southernmost units are UPY1150 and UPY1158, both SW1500’s of SP heritage– nee SP 2572 and SSW 2585, respectively. Back left is UPY 1002, originally SP 2555, retired in 1995 and recently refurbished for UP by Helm. Back right is GP38-2 No. 801, originally MP 2301. The lack of dynamic brakes is a good clue to the unit’s heritage. In this shot, it appears that the two closest locos are the controlling units, and the back two are simply MU’d to them for extra traction. 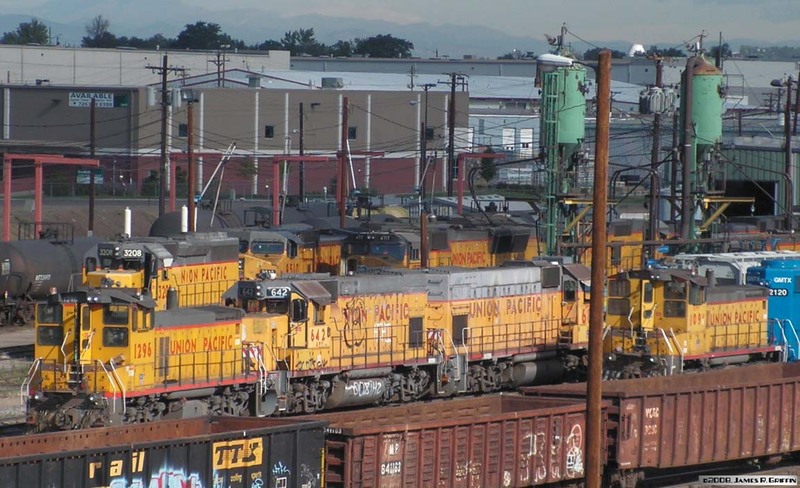 Switcher Smorgasbord: four UPY units in Denver on September 1, 2008. Left to right: MP15DC No. 1296, originally MP 1366 and given this number in May 2008. GP15-1 No. 642, originally MP 1642. Another GP15-1 whose number is blocked by the pole, an MP alumnus.SW1500 No. 1091, formerly SP 2495.Above 1296’s hood is an SD40-2, No. 3208, a veteran road unit still earning its keep. UPY 2005 is a rebuilt, ultra-low-emissions switcher designated as a 2GS14B (two gensets, 1,400 HP, B trucks). It is the only one built with a center cab. 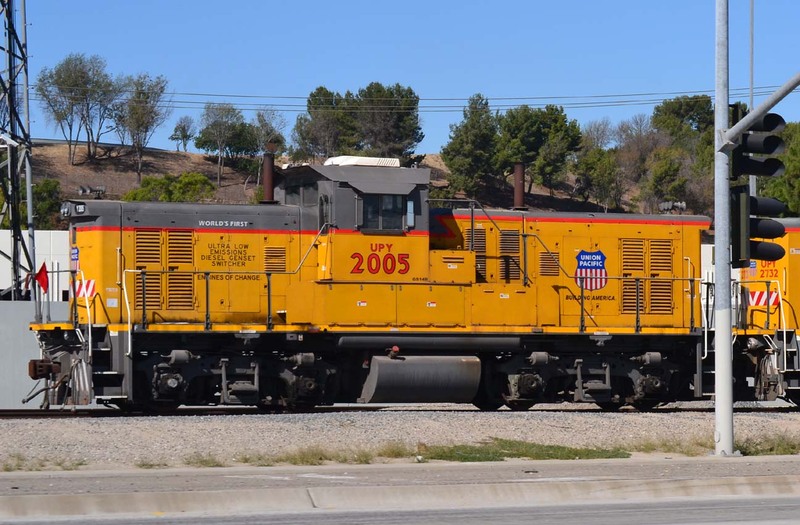 Here it’s near the LA intermodal yard on 10/30/2015.